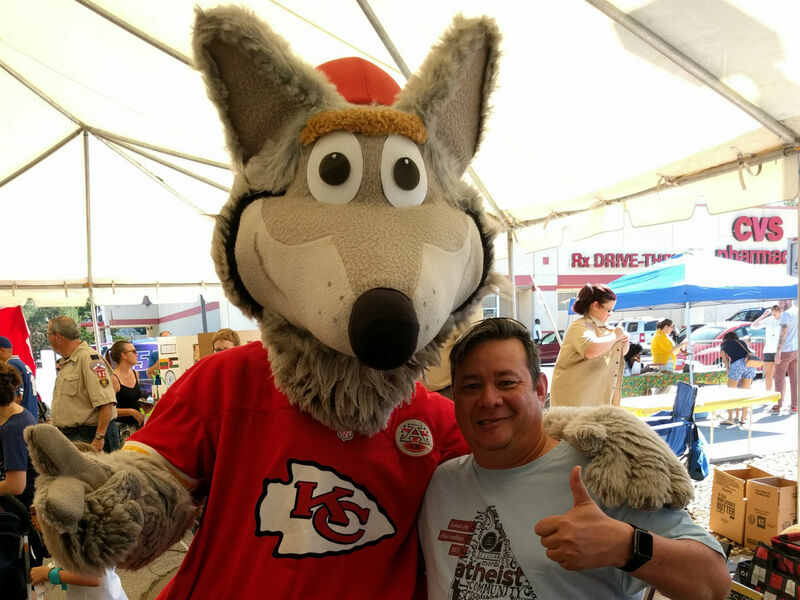 We, for the first time, tabled at the 2016 Waldo Fall Festival. 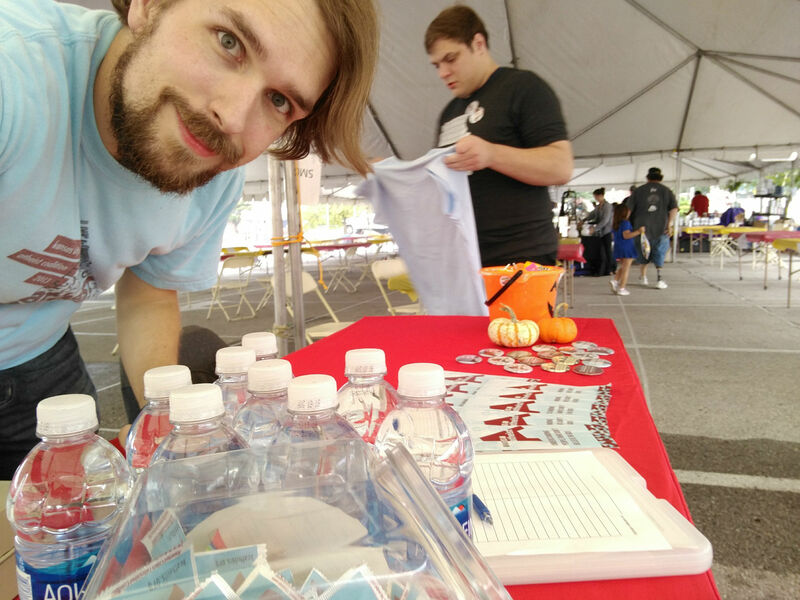 We got a few head shakes, but the response was overwhelmingly positive – lots of free candy for kids, buttons and bottles of water for everyone, and free condoms for those who wanted them. 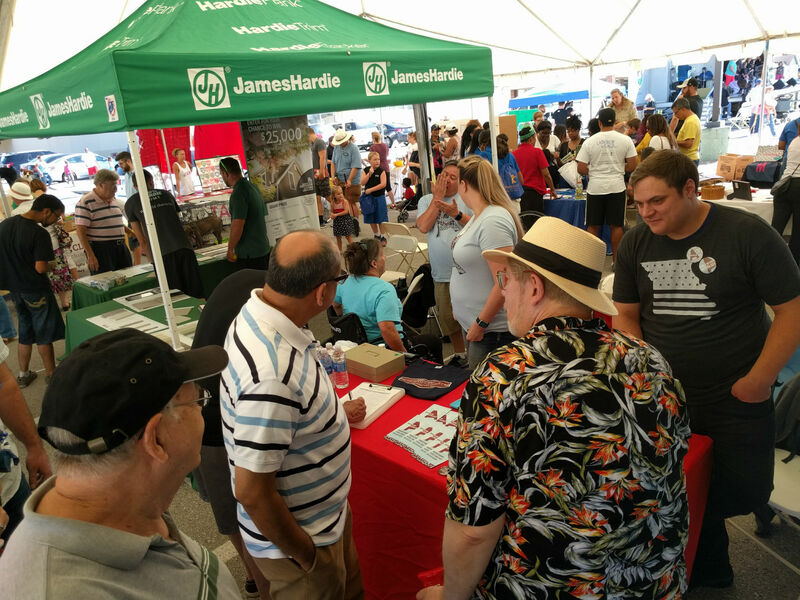 We met some atheists new to the area, some who had been around for a while, and more than a few people who had never met an atheist before yesterday. All in all – a great and productive day! 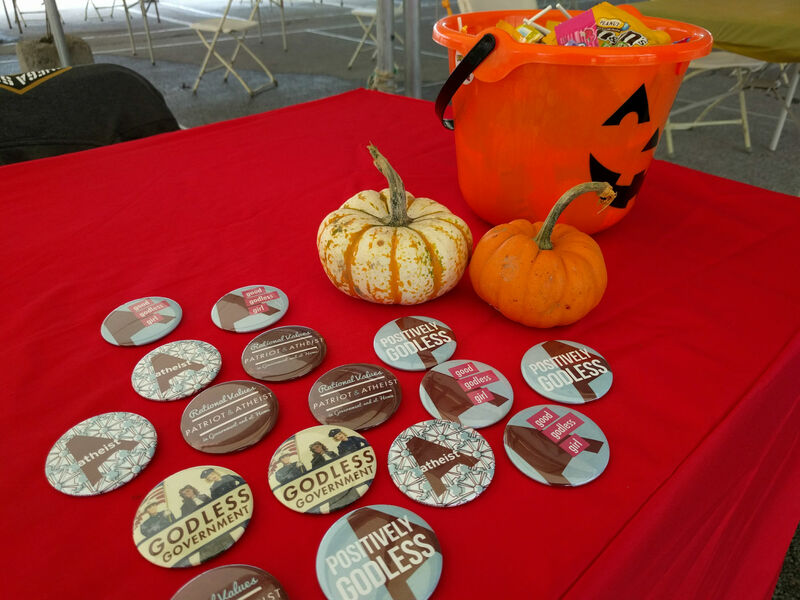 No Comments to "Free Candy and Community at the 2016 Waldo Fall Festival"